Searching for "tire repair" in Malden MA? 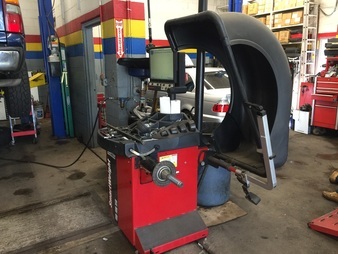 The mechanics at Eli and Gary's Automotive Services specialize in tire repair for tires with slow leaks and damaged tires from foreign objects such as nails, pieces of metal and other road hazards. ​Contact Eli & Gary's for quick tire repair at (781) 321-0880. Our mechanics will examine your tire damage to either repair or make recommendations that may be safer. These proper tire maintenance tips will improve the life of your vehicles tires.